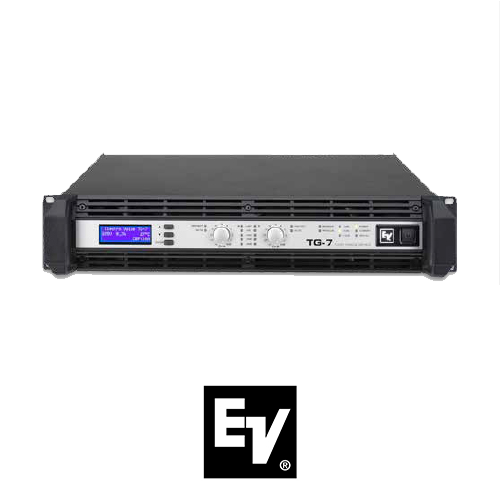 Professional-quality, rack mountable stereo power amplifier designed for applications where rock-solid reliability is of the utmost importance. The amplifier uses three-stage Class-H circuitry for high performance with very low distortion, while the “floating” switching power supply maximizes efficiency.A multi-stage advanced thermal protection system prevents the unit from shutting down if the temperature reaches a critical level. An LCD display and several status LEDs show the current condition of the amplifier. An expansion slot allows you to install a remote control module (sold separately) for compatibility with IRIS-Net, which allows remote monitoring and control functions, as well as a two-channel digital audio controller and speaker protection algorithms.